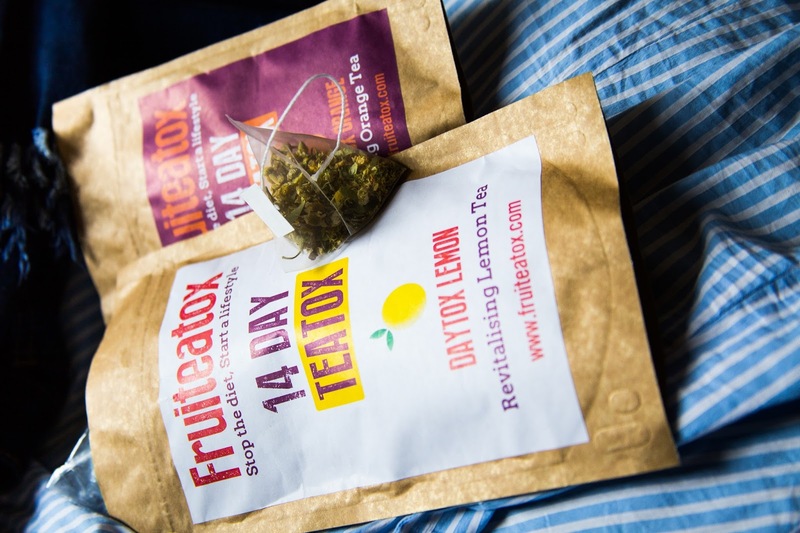 What is a Teatox? It is a detoxifying tea. 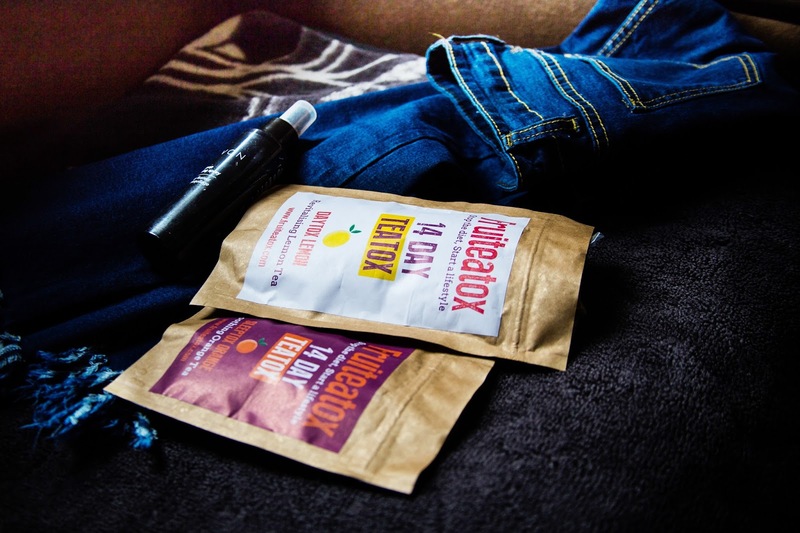 Is Fruiteatox Natural and chemical free? Yes! All of our ingredients are 100% natural – we source each ingredient from specific countries around the world. Check out our hand-selected ingredients under the ‘Our Ingredients’ tab to see where we source each ingredient, and their extensive health benefits. 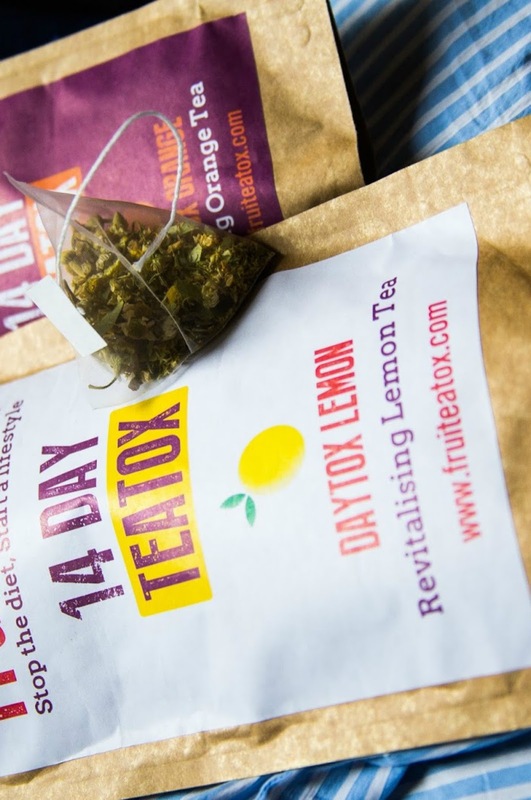 Made from 100% natural ingredients using real fruit, your 14 Day Teatox includes a pouch of Lemon Daytox Tea which contains 14 pyramid teabags to be drank every morning for 2 weeks, and a pouch of Orange Sleeptox Tea which contains 7 pyramid teabags to be enjoyed every other night before bed for 2 weeks.Our Daytox blend will increase stamina, suppress appetite and help you to stay fuller for longer, it is also great for your skin. Our Sleeptox is designed to be enjoyed before bed to aid relaxation, give you a peaceful nights sleep and cleanse your body of toxins. We want to enable you to be the best that you can be; with the healthy skin and body you’ve always desired. Below we have put together a few healthy, quick and easy meals from breakfast through to dinner, plus a few healthy snacks. Combine our teatox with a balanced meal plan and you will be one step further towards achieving your goals. 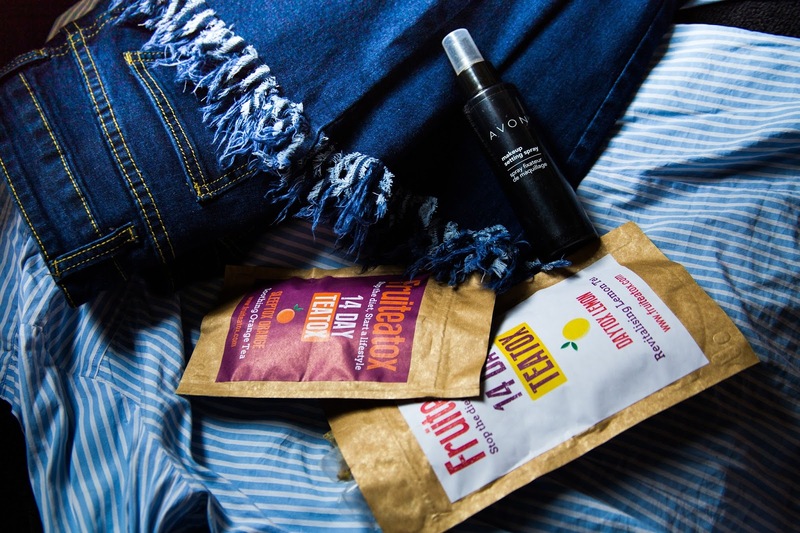 One tip before we start: drink lots of water, it is very important to remain hydrated throughout the teatox. Poached eggs on toast - Poach two eggs and serve with a slice of wholemeal or rye toast. Green smoothie - Add one cup of greens (spinach, kale or other leafy veg), two cups of fruit (pick your favorite) and two cups of liquid (water, milk, coconut water, fruit juice) to a blender with ice and enjoy! You can also add yogurt to the mix, or even a tablespoon of seeds for omega 3. Tip: Freeze your fruit and omit the ice for an extra fruity breakfast. Toast & Honey - Toast two slices of wholemeal bread and drizzle with honey. You could also add a sliced banana too to keep you going until lunch. Oats & Berries - A bowl of oats with skimmed milk, sprinkled with fresh berries of your choice. Alternatively, add honey or maple syrup. Cereal - A bowl of Bran flakes, natural muesli or Shredded Wheat with skimmed milk. Omelette - Mix three egg whites with one yolk and add whatever healthy ingredients you fancy. We're particularly fond of spinach, tomatoes and mushrooms. Yogurt - Enjoy a fat free natural yogurt and garnish with your choice of fresh fruit and honey. Weetabix - Two Weetabix with skimmed milk and a glass of fresh orange juice. Breakfast is the ideal time of day to enjoy your revitalising cup of Daytox! Soup - Blend mixed vegetables with stock and herbs for a delicious fresh bowl of soup - full of goodness and low on calories. Jacket Potato - Oven cooked jacket potato with tuna & sweetcorn. Healthy fries - Baked sweet potato fries cooked in coconut oil. Tuna pasta - Wholemeal pasta with pesto, sweetcorn, green peppers & tuna. Vegetables & rice - Wild rice and mixed seasonal vegetables, nice and easy to prepare before work. Quinoa and avocado - A serving of quinoa flavored with lemon, paprika, parsley and mixed seeds with half an avocado. Prawn salad - Responsibly sourced prawns on a mixed leaf salad with a light splash of olive oil. Smoked mackerel or salmon salad - Mixed leaf salad with spinach and smoked mackerel or salmon. Fish is a great source of omega 3, which is great for your skin. Smoked salmon - Smoked salmon and spinach in a wholemeal roll, or with a green salad. Tuna steak with roast vegetables - Oven bake your tuna steak with seasonal vegetables. Serve with a squeeze of lemon. Baked salmon - Baked salmon served with a sweet potato and lots of steamed green vegetables. Vegetable casserole - Potatoes, onions, carrots, peas and mushrooms slow cooked with stock. Stir-fry - Add vegetables to a wok with 1tbsp of olive oil. Add your own preference of lean meat and fish with light soy sauce. Fish & Chips… but healthy - Oven cooked fresh fillet of white fish served with home made sweet potato fries and a squeeze of lemon. Jacket & Chilli - Oven-baked sweet potato with chilli made from quorn mince and optional low fat sour cream.